Just check out the below freebie design available at our website. After looking at above Embroidery, What is the first thing that comes to your mind? Of Course, You will say WOW!!! You will also excited to know how this kind of large embroidery is done on the machine? If yes then below you will find the answer. 1. How are these designs embroidered Separately? To know this check out the below video. 2. If these designs are done separately then What is the use of Big Commercial Design? Yes, it is true that this design is done separately. Commercial Machine is big in nature but they are built to make the same design in bulk. For example, Suppose a person has an order of making 100 embroidery dress. In this case, he will not use his machine 100 times to do this embroidery but instead, he uses this machine three times to create 100 such Embroidery Dress. Simple. For the first time, he will try to create 100 Neckline Design, in the Second time, he will create 100 all over design and in last third time, he will create the border design. 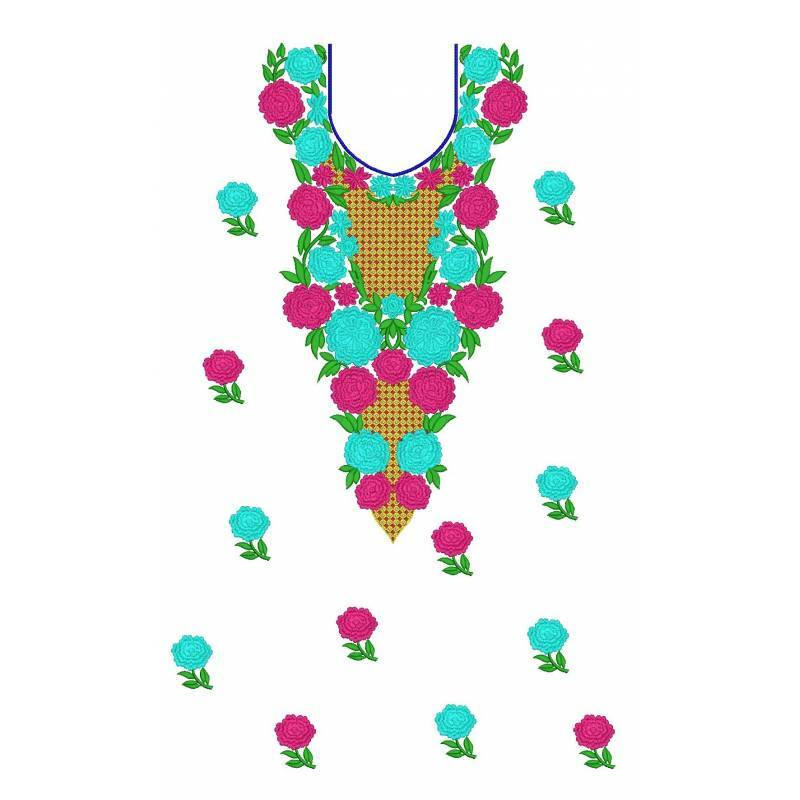 After creating the all these three designs, he stitches these designs together and creates a final embroidery dress design. 3. You are the sharing the design of entire Embroidery Dress. How to spit and use these designs separately? Very Simple. We are digitizing the designs in native EMB format. These designs can be easily cut and paste into the seprate file. if you digitizing software support this EMB files then you simply need to select the respective design and save the same in separate files. For more check out the below video.